I’ve been eating eggs for breakfast quite a bit lately. This isn’t because I’m stuck in a rut, but because I feel good when I eat eggs and I just really like them. And okay, maybe I have been in a bit of a rut. Normally I make some kind of omelet or scramble using whatever cheese or veggies I find in the fridge, but the other day I realized I was out of cheese. Once I got over the shock of being out of cheese (I can’t remember that ever happening before), I realized I didn’t have much else to put in an omelet either. I decided I’d just have some plain scrambled eggs, which has always been one of my favorite ways to eat them anyway. I whipped up a couple eggs with a small dollop of sour cream (a friend taught me that trick and it’s fantastic), melted some butter in my favorite little skillet, then paused for a minute. There was a bottle of curry powder just sitting there on the counter next to the stove. Without even thinking too much about it, I grabbed the curry powder, sprinkled some into my palm, then dumped it into the pan with the melted butter. 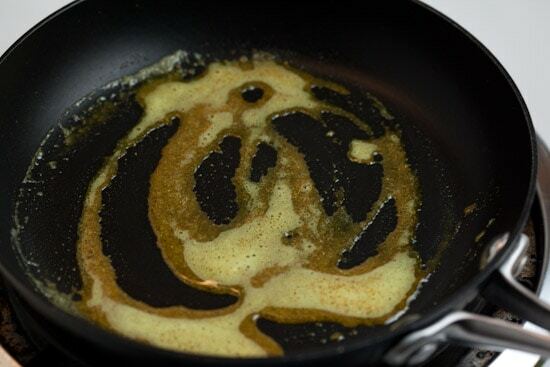 I cooked it a bit then poured in the eggs and watched the turmeric-tinged butter swirl into the mixture. It was beautiful, it smelled fantastic, and suddenly I had so much more than just plain scrambled eggs to look forward to. This is too simple to really be called a recipe, but I enjoyed the eggs so much that I just had to tell you about it. I also thought I’d share my method of cooking eggs, which might be new to a few of you. I start with a couple eggs, a small spoonful of sour cream, and plenty of salt and pepper. I whisk it all together with a wire whisk or a fork, depending on what’s clean and/or handy. I also preheat the broiler at this point. 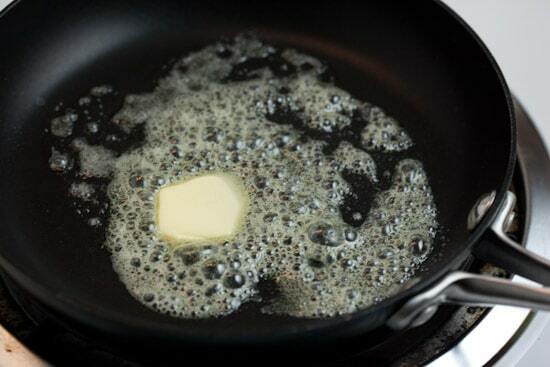 Then I heat my skillet over medium-low, making sure to give the pan enough time to heat up, then add a chunk of butter. Next comes the curry powder. I don’t use whole lot, but if you really like the flavor of curry powder, you could certainly add more. Stir the curry and butter around and let it cook together briefly. Next, pour in the egg mixture. 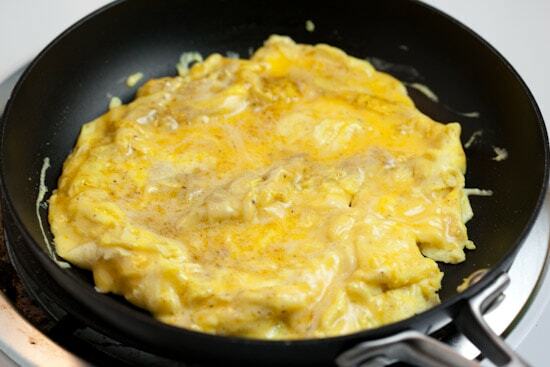 Using a silicone spatula, or whatever you have handy, gently push the eggs from the outside of the pan toward the center, working your way around. Keep this up until the eggs are mostly set, but still liquid on the very top. Now pop the pan into the oven under the broiler (not too close) for about 30 seconds to finish cooking the eggs. And that’s it! 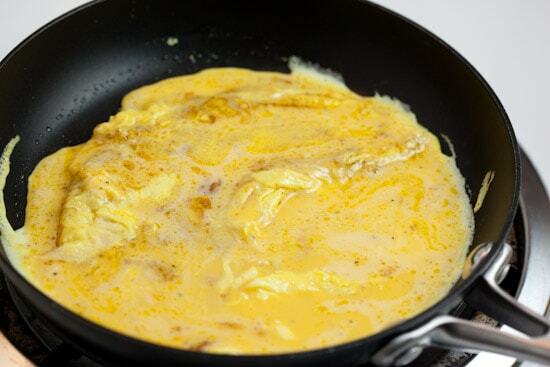 I hope you enjoy some curried scrambled eggs soon – I think I’ll have some more tomorrow. I have been chosen by McCormick to participate in the McCormick Real Gourmets program. I have been paid by them and I received a big box full of McCormick Gourmet spices. I have been using McCormick Gourmet for years, and am thrilled for the opportunity to explore more of their spices and blends. I used McCormick Gourmet Curry Powder in this recipe. Preheat broiler and place oven rack about 6 inches from the broiler element. 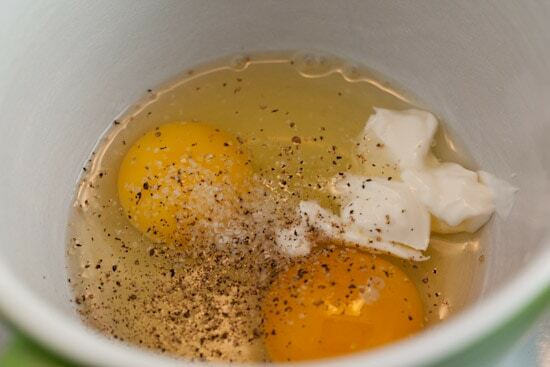 In a medium bowl, whisk together eggs, sour cream, salt, and pepper. Heat a small, oven-proof, non-stick skillet over medium-low heat. Add butter and let it melt. Add curry powder and cook, stirring, for a few seconds until it’s very fragrant. Pour the egg mixture into the skillet. 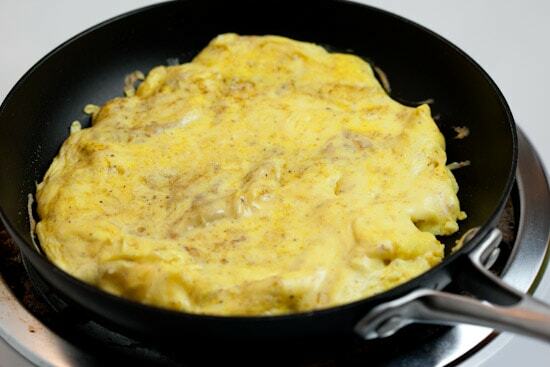 Use a spatula to gently push the eggs from the outside of the skillet to the center, working your way around the pan. 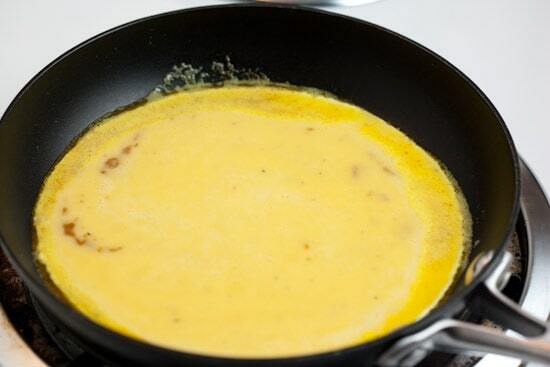 When eggs are nearly set, put the pan under the broiler for about 30 seconds, or until eggs are cooked through. Enjoy! Masala omelettes are one of my favourite breakfasts; a little chopped onion, chopped coriander and chopped tomato are worthy additions. Beautiful pics. Re: Eggs + sour cream: eggs + cottage cheese also works. but no one buys cottage cheese anymore. maybe because of the weird name? cottage? is there also a beach house cheese out there somewhere? time share cheese? mountain cabin cheese? Lizzie: Yes! Sometimes some chopped fresh chile pepper and grated ginger, too! Now that I have more ingredients in my fridge, that might be what I eat today for breakfast or lunch. Steve: I still buy cottage cheese (only full fat though, can't stand the 2% kind). I've heard that cottage cheese works well in scrambled eggs, but I don't think I've tried it. You've inspired me! Also, have you tried cream cheese? My grandmother told me to try it recently and that's amazing, too. Very rich though. Yum. I too eat a lot of eggs and egg whites -- a perfect food, really. Looking forward to trying this! Great idea! I like adding different things to eggs. One of my favorite combinations is fresh ginger and garlic sauteed, then you pour in eggs, at the end add chopped tomatoes and cilantro. Can also add toasted cumin seeds or ground cumin. Sometimes a single Thai bird chile, sliced along its length. can do wonders to plain old scrambled eggs. Yes! I love chiles in eggs. It's amazing how one simple flavor can make such a huge difference! I know what I'm having for lunch! That looks as delish as it sounded when you tweeted about it. Thanks for this post. Oooh, I love curry, never thought of putting them in eggs. Thanks for the great idea! I also tried a new egg dish this morning - it's been a big day for us! !I am glad you decided to share. My partner loves curry and I'll be giving this a shot next! This sounds amazing! I just put them on my menu for this weekend! Haha...Those aren't scrambled eggs! :) Sounds delicious no matter what you classify them as! I'll be making this tomorrow morning! Very interesting way to make scrambled eggs! The curry was a nice touch. I definitely think that it needs some veggies, like mushrooms, onions and tomatoes. Will play with it some more. Oh this is something different. Must try this! This sounds absolutely delightful! I too love adding cheese to eggs, but this seems like a healthy substitution worth trying. I love the way yo talk in your blog, i love the way you explain the recipe and the photos too. I will try this recipe, right away! I would like you to visit my blog: Lo que pasa por mi boca, i hope you understand some spanish words, anyway, i love food and i love to recommend. I'm trying to eat more scrambled eggs + extra egg whites to up that whole protein thing, and sometimes, they get boring. Love this little idea. Thanks for sharing a great recipe. I've made these eggs twice this week. I can't believe how great they are! 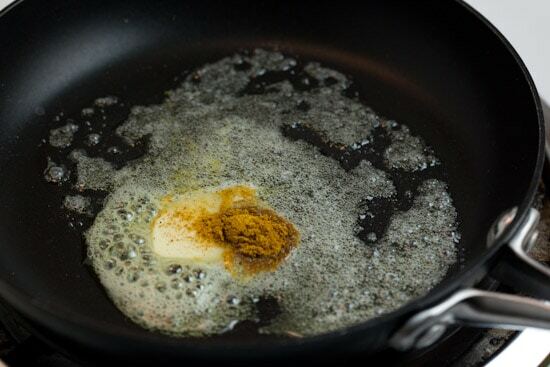 I would have never thought to use curry powder on eggs. It gives them such a great flavor! You had me at curry. Clearly the zucchini and banana breads that I had planned to bake today will now be done with egg substitutes, because now I must also make a big batch of scrambled eggs for breakfast. I just had this for lunch with a piece of whole wheat toast and a peach. Wonderful! My family loves eggs, we usually make omelets with mushrooms and onions and a dash of lawry's but this sounds so delicious. i can't wait to try it. Absolutely one of the best breakfast recipes I've ever tried. Why it never came to me to use curry I don't know. So easy and yummy. Eggs rock! Dude. Sounds righteous. Will try soon. Once when I was craving curry chicken I bought some curry paste for a quick fix. The curry turned out fantastic with me using the dollee brand chicken curry paste however one packet served at least 6 people so naturally I cut down the recommended portions by half since there was only two of us living together. Left with a lot of curry paste, I remembered and Indian colleague recommending frying curried eggs so I decided to give it a go. Absolutely in love with how it turned out! 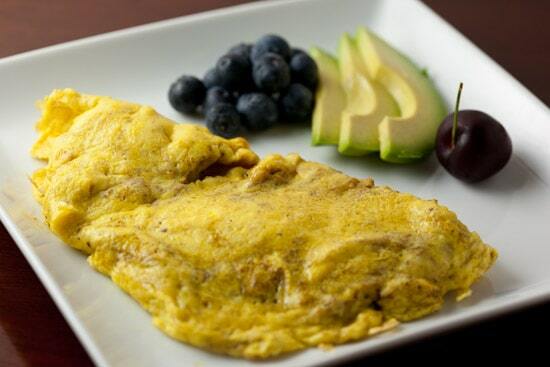 Eggs + Curry = YUM! I would've never thought of the combination myself. Eggs are my favorite food !! I have been making curry scrambled eggs for quite some time. Similar to Yours, except i cook on a high fire and flip my eggs in the pan. Don't have time for the broiler and I use Badia Curry which is about $1.19 for a 2 oz. bottle.